The Harvest Mission Community Church will present "An Easter Celebration" at the Michigan Theater. 10 a.m. Celebrate Easter with Harvest Mission Community Church, and experience a powerful encounter with God. Free admission. All are welcome. For more information visit www.hmcc.net. The Michigan is at 603 E. Liberty St., Ann Arbor. 734-668-8397. Catch today's last performance of "Dead Man's Shoes" at Ann Arbor's Performance Network. The Mosaic Church will hold its "Annual Easter Egg Hunt" at the Morris Lawrence Building on the Washtenaw Community College campus. 9:15-11 a.m. There will be an egg hunt, inflatables and a free breakfast. Free. WCC is at 4800 E. Huron River Drive, Ann Arbor. 734-973-3300. 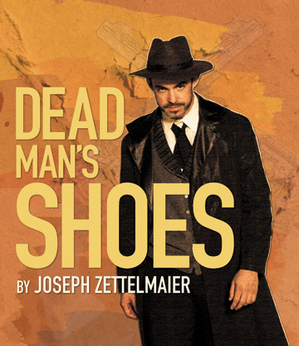 Today is the last chance to catch "Dead Man’s Shoes" at the Performance Network Theatre. 2:30 p.m. Injun Bill Picote and Froggy wander the wild west in search of a man who has done a truly despicable deed. Filled with true grit and dark humor exploring the real cost of revenge, it’s a fast-paced and panoramic journey to the dark side of American history. $22-$41. Tickets can be ordered by calling 734-663-0681, online at www.performancenetwork.org or at the theatre. 120 E. Huron St., Ann Arbor. 734-663-0681. The Encore Musical Theatre Co. presents "Godspell" through April 22. Thursdays, 7 p.m. Fridays, 8 p.m., Saturdays, 3 and 8 p.m. Sundays at 3 p.m. This Stephen Schwartz and John-Michael Tebelak’s hit musical, structured as a series of parables, based primarily on the Gospel of Matthew. $25-$32. Encore is at 3126 Broad St., Dexter. 734-268-6200.